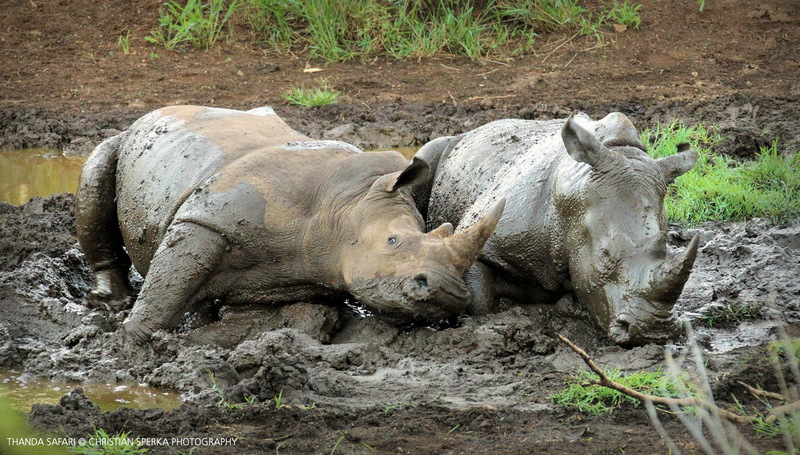 This is the Rhino equivalent to a human spa. As our guests enjoy the various treatments in the spas at the Thanda Safari Lodge and at the Thanda Tented Camp these two Rhinos enjoyed their evening ‘mud pack therapy’ at a local waterhole. When watching these large creatures one can almost feel the immense pleasure they take from such a muddy bath! The drying mud layer cools down the Rhino. It acts as a sun lotion and it helps repelling insects.